products - The Hair Restoration Specialist...... Tom Rosanelli, M.D. 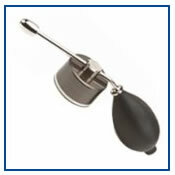 Many of our products are available by phone order as well as in office. Please call us at 800-743-4247. Developed for men and women with thinning hair, this limited non-alcoholic shampoo may be used anytime, even right after a hair restoration procedure. Designed for on-the-go convenience, Conditioning Shampoo contains an advanced delivery system to effectively reinforce your hair's essential need for cleansing, moisturizing, and nutrition. Conditioning Shampoo is formulated with unique and clinically-tested Triamino Copper Complex™. to bathe your scalp with essential amino acids and minerals essential for cell renewal. By combining clinically-tested Triamino Copper Nutritional Complex™ within a unique formulation framework, copper is delivered to the base of the hair follicle where it becomes a vital nutrient source for the dermal papilla (the "engine" at the base of each hair). It is at this level that copper can positively influence dermal papilla cells to optimal growth performance. Copper also invigorates, stimulates and activates the entire scalp. ™. Providing an optimal environment for healthy growth and appearance, your hair and scalp will benefit from this unique combination of essential amino acids, minerals and body-building ingredients. Your scalp will feel enlivened, and your hair will feel thicker and fuller. The built in conditioner has a nutrient rich framework, that helps restore your hair’s natural protein and mineral balance, building structure, lusture, and body into thinning, damaged and otherwise challenged hair. This gentle alcohol free formula may be used immediately after a hair restoration procedure, and it maintains hair’s moisture and adds shine. It is gentle on hair while it tames fly-away hair without leaving a sticky residue or weighing down hair. We are always finding new and improved hair sprays and gels that will give you the appearance of thicker and fuller hair. Please call or stop by our office to find a product that is right for you. This instrument attaches to toppik bottle, allowing you to precisely spray Toppik onto thinning areas, rather than shake. Minoxidil Extra Strength Hair Regrowth Treatment is for men who have a general thinning of hair on the top of the scalp. It may take up to 12 months to see results. Directions: Dr. Rosanelli recommends patients to apply with dropper, using two times the normal dosage, only once a day (usually at bedtime) throughout the entire scalp. (May not be used for 1 week after a hair restoration procedure- If you don't want the long term commitment of this product, some patients just use this product for the first 6 months after surgery while the grafted area is growing in.) **The instructions are different than those provided by the FDA and Pfizerch Consumer Healthcare. For their recommendations and disclosures you can start your research at Pfizerch's website. 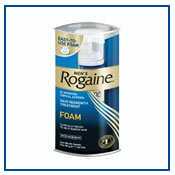 The Rogaine Foam does not contain the scalp irritants found in the liquid form. It also dries quicker than the liquid and some say it isn't as "greasy." 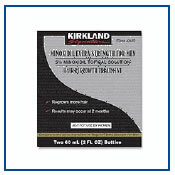 Minoxidil Extra Strength Hair Regrowth Treatment is for men who have a general thinning of hair on top of the scalp. It may take up to 12 months to see results. Directions: Dr. Rosanelli recommends using two capfuls, only once a day (usually at bedtime) throughout the entire scalp. (May not be used for 1 week after a hair restoration procedure- If you don't want the long term commitment of this product, some patients just use this product for the first 6 months after surgery while the grafted area is growing in.) **The instructions are different than those provided by the FDA and Pfizerch Consumer Healthcare. For their recommendations and disclosures you can start your research at Pfizerch's website. Minoxidil for Women also available. Prescribed by Dr. Rosanelli, PROPECIA is used for the treatment of male pattern hair loss. There is an 80-90% chance of slowing or stopping hairloss with this medication. In the vertex of the scalp there is a 66% chance of regrowing hair, in the mid-scalp a 50% chance of regrowing some hair, and in the front 20% chance. Results may first begin to be noticed at 3 months. But you need to be on the medication for one year to see if it is beneficial for regrowth. The way it works: Finasteride, commonly known as Proscar or PROPECIA, is a medication which inhibits the enzyme that converts the hormone testosterone into DHT(dihydrotestosterone). PROPECIA partially blocks the formation of DHT and in this way interrupts a key factor in the development of male pattern hair loss. The use of PROPECIA in many cases, reverses some of the hair loss which has been caused by DHT. PROPECIA is taken once a day in tablet form. Treatment is simple, easy, and effective for most men (this product is not to be used by women). Call RMA for more information. (1-800-743-HAIR) Ask about our Propecia Membership Program which offers free shipping in the United States and additional savings. *These instructions and results are different than those provided by The Federal Drug Administration (FDA) and Merck. For their recommendations and disclosures you can start your research at Merck's website. (Dr. Rosanelli’s office will contact you to set up your in office or phone visit. Product will not be sent until this visit. Your fee is $225 plus a $85 MD fee). 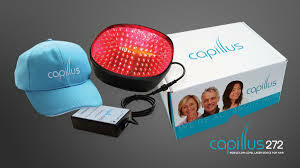 CAPILLUS- Laser Therapy at home. Low-Level light treatment is a treatment that has been used for those who are suffering from male & female pattern hair loss. Laser red light has been shown to be effective in stimulating energizing within the cells of the hair follicle. Dr. Rosanelli has personally seen numerous cases that have benefitted from Capillus.